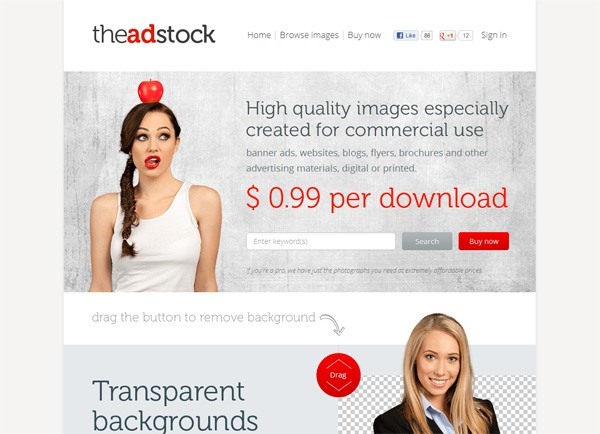 TheAdStock is a stock photography site where you can buy images for your banner ads, websites, blogs, flyers, brochures and other advertising materials, digital or printed. TheAdStock was created by Smartketer LLC, the same company that came up with BannerSnack (an online banner generator). TheAdStock was a natural step in the company’s efforts to help users create the best banners. The idea grew into a collection they’d like to offer to anyone who’s into making ads, websites or prints to help make their jobs easier. Smartketer has other tools for creative professionals such as SliderWall, SnackTools and JS Charts. How would the 100 points on TheAdStock help you? This giveaway ends on Tuesday, May 22, 2012 after which the comments section on this post will be closed and you will no longer be able to leave a comment. Please leave a valid email address when filling out the comment form so that we can contact you if you have won. The winners will be announced on a separate post and you’re advised to subscribe to our RSS feed so that you can be quickly notified when we publish the winners announcement post. Please note that comments are moderated and your comment may not show up right away. Please also note that comments that do not follow the instructions on how to participate (described above) may not be published, or may be removed later on.